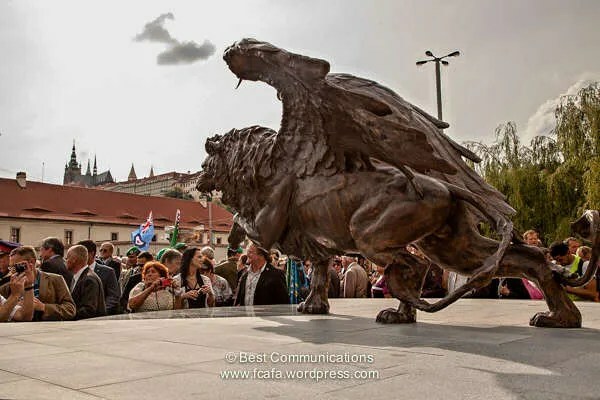 Unveiled – Winged Lion Memorial, Prague. 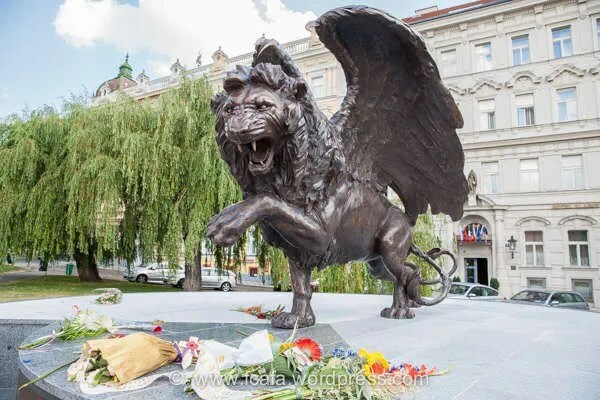 7 Responses to Unveiled – Winged Lion Memorial, Prague. Well done all and as a British subject I salute all Czechoslovaks who served, fought and sacrificed all which was dear to them on behalf your and my freedom which we enjoy today. Thank you! 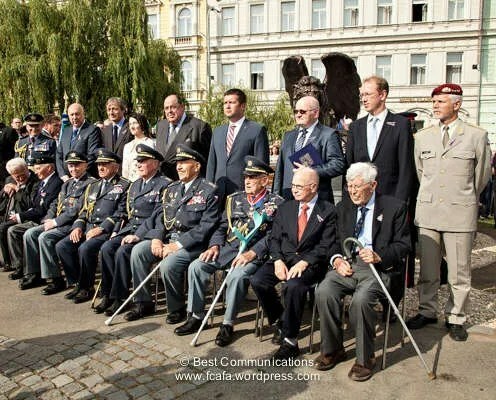 After 69 years, finally unveiled in Prague monument to our RAF airmen – thanks to the British! Pane Šinágle, pro upřesnění, Brity po 69 letech, Památník padlých československých letců v letech 1939-1945 se nachází v Praze – Dejvicích. Byl odhalen 12. května 1995. Centrální skulptura symbolizuje zlomená Křídla. Na mramorových deskách po stranách si návštěvník může přečíst jména všech 546 československých letců, kteří zahynuli v bojích druhé světové války. The Dejvice airmens memorial remembers the Czechoslovak airmen who were killed during WW2. While 546 are listed on this memorial, the actual number who were killed was 553 and they had served in 6 different Air Forces during WW2. Thank you moderator for the clarification re what we have got in terms of CzRAF memorials. We have no need to twist the facts and our thanks should go to all those whose thought of it & made it happen as I already said in my earlier post. Let’s make sure we put our efforts behind the move to keep the Winged Lion where it was unveiled. It is a wholly appropriate place, frequented by many, locals & visitors alike. All those 2500 deserve nothing less. 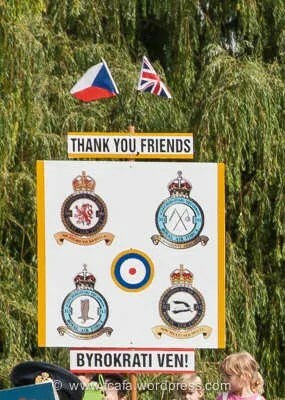 A very fitting tribute to these brave Czechoslovak young men and women in the RAF. 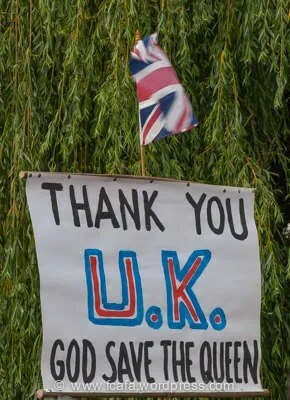 The messages on those placards are very moving! That’s beautiful! I look forward to getting a closer look at it when I visit Prague this weekend.